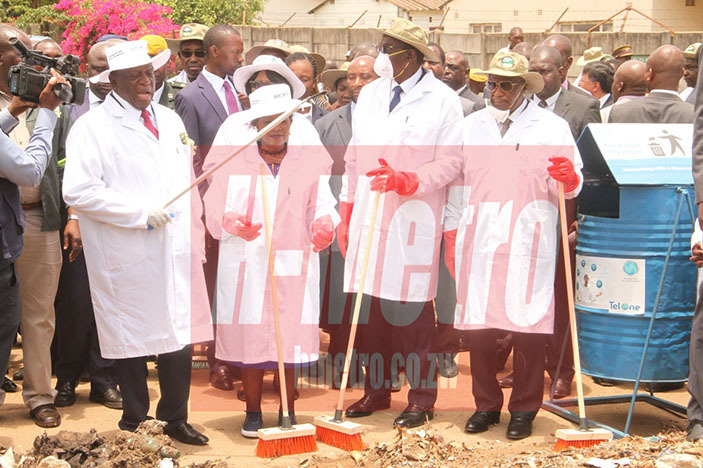 President Emmerson Mnangagwa has warned litter bugs that they risk being sent to jail. “Let us be united, let us love peace, harmony, each other, let us work together, let us clean our nation, environment together and let us be together in broad daylight, at night during challenges. “Zvese izvi tozvikwanisa tichiwirirana, takabatana, tiine rugare. “A clean environment contributes towards a strong healthy nation with a high quality of life. My government is committed to upholding and furthering environmental rights through enactment and passing of laws which enforce responsible waste management behaviours at individual, household and company level. 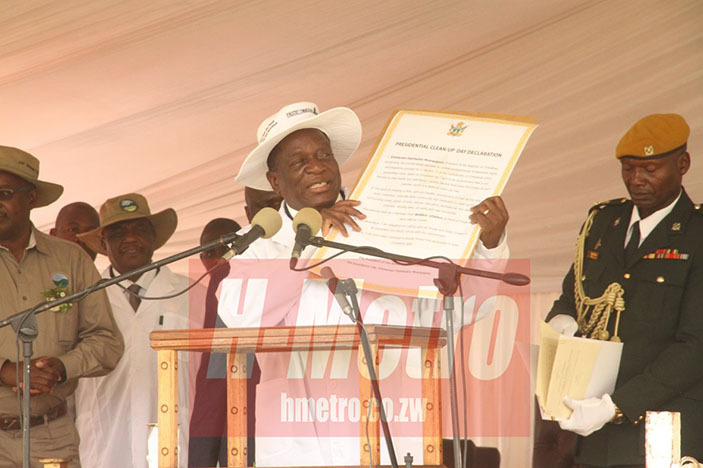 President Mnangagwa, urged the transport sector to be responsible. “To the captains of the Industry and Commerce, let us be mindful that most effluents come from our daily operations. “I urge you to be responsible in the manner you manage and dispose the waste you generate and therefore challenge you to embrace the extended producer responsibility strategy to promote sustainable waste management, through recycling and never wantonly disposing waste materials into your surroundings or water bodies. “On this part, the Ministry of Local Government, Public Works and National Housing should direct their stakeholders to prioritise waste management as a key function of service delivery. “Local authorities must ensure they collect from both residential and commercial areas. The transport sector and motorists in general should play a part in facilitating proper response over recklessness without resolving to throwing rubbish on the roadside. “Unoona vanhu vari mubhazi vakadya zvavadya wovhura window wokanda panze, regai nditaure kunyika izvozvo ngazvichipera. “Majeri haana kuzara, kwava nemurairo wekuti ukabatwa uchiita izvozvo heki kujeri. “While littering and illegal dumping of waste is an offence at law, the present focus is on morals persuading. 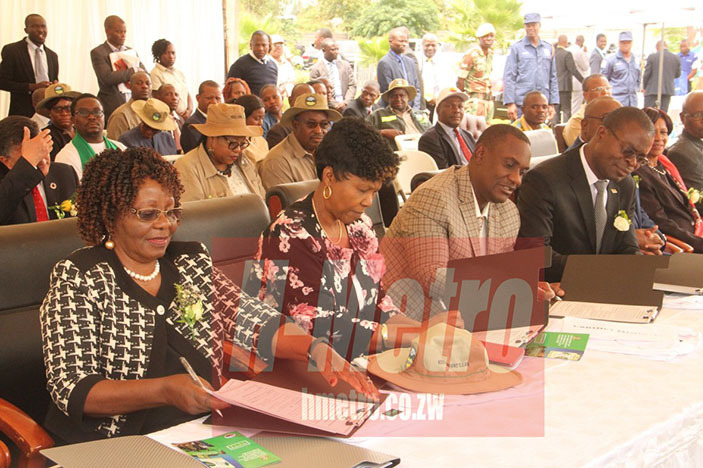 “What is critical however, is continue to put strategies in place and structures that ensure sustainability of this campaign,” said President Mnangagwa. 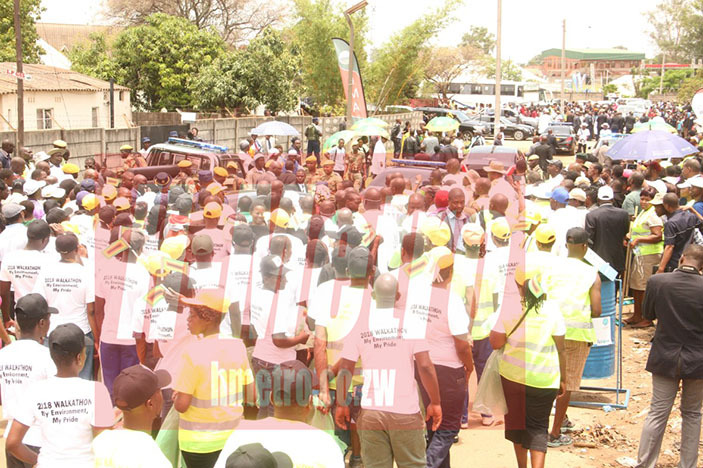 The media was also challenged to be part of a positive part in ensuring a clean environment. “Let this challenge us to clean our communities, villages, towns and cities on a regular and continuous basis. “The media is challenged to continue to raise awareness on good environmental practices and expose those that cause environmental degradation and pollution. “Keeping our environment is a duty, a moral responsibility, good citizenship and a patriotic act. We have made a great start as a nation by taking this step towards a cleaner country. 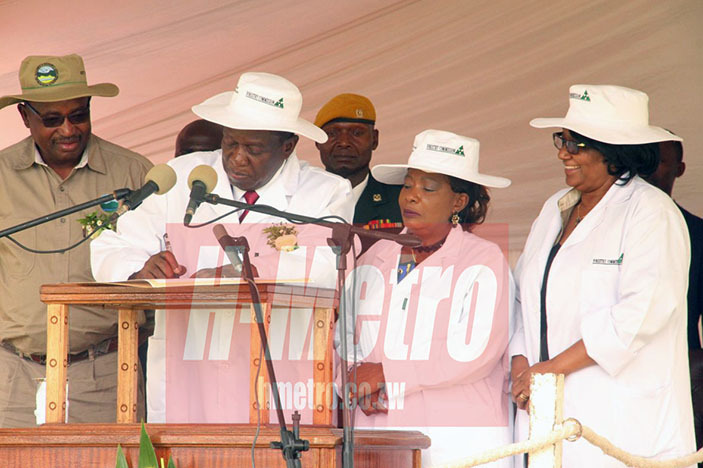 President Mnangagwa, said there is need for the education sector to scale up the environmental awareness campaigns. “Our education systems are encouraged to scale up environmental awareness programmes within schools and institutions of Higher learning on the importance of respecting environment and living in harmony with nature. “Equipping the future generation with necessary environmental knowledge and skills. 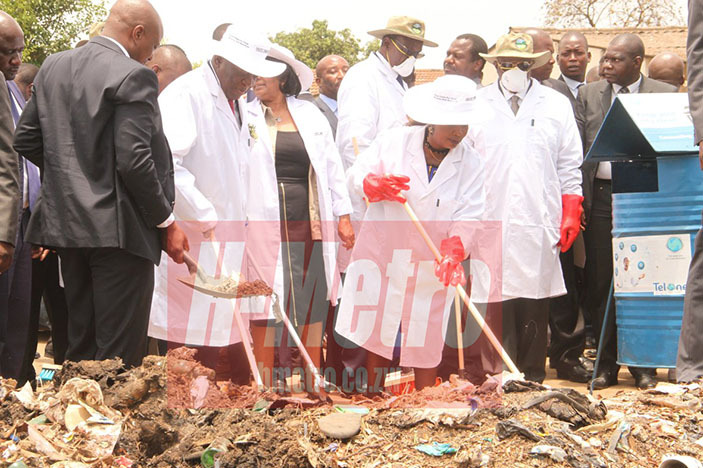 “On average urban centres in Zimbabwe generate about 1.65 million tonnes of waste per year. “The bulk of this waste ends up in open illegal dump sites, urban streams and wetlands often resulting in blocked drainage systems, contaminated surface and underground water, as well as causing major health hazard to our people. The campaign theme resonates with that of the UN Environment 2018, ‘beating plastic pollution and is also in tandem with a wide array of multi-lateral environmental protocols and agreements that Zimbabwe has ratified.